Travel to exotic new worlds, see strange new life forms, and kill them... before they kill you! Captain Harley set the ship down in the middle of the colony's main street. Somehow he managed not to land on any of the bodies. I grabbed my medkit and checked my pistol. West was still vainly trying to raise someone on the radio. "Give it up, Stanley," Clinton said as she hefted an assault rifle and popped the hatch. Muggy air invaded the cabin. It bore green odors of the surrounding jungle and an undertone of nearer decay. Clinton wrinkled her nose, muttered an oath, and hopped out. She crossed the street to the chewed remains of a colonist. A shadow slid toward her. "Look out!" I cried. Too late—a thing like a monkey mated with a wasp dropped from the sky and bore her to the ground. She went rigid when it stung her in the throat. 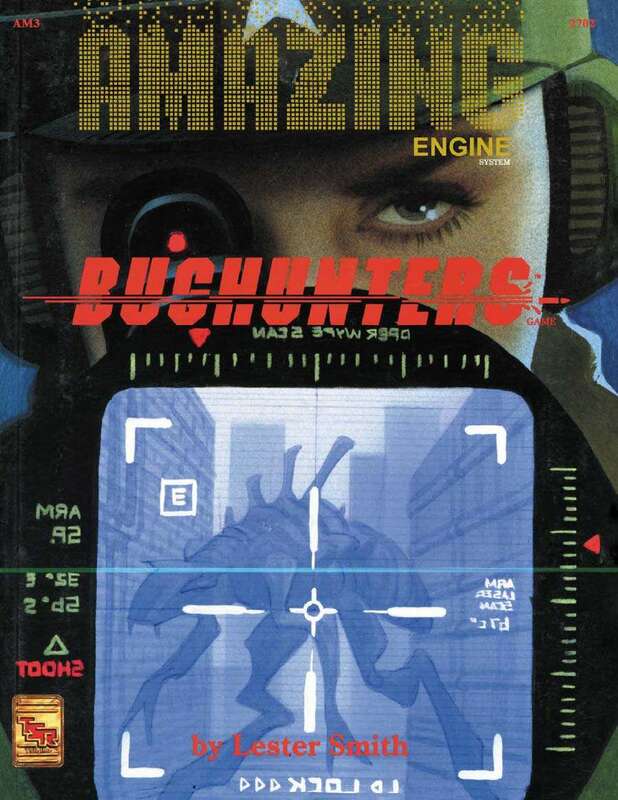 The BUGHUNTERSTM role-playing game—part of the AMAZING ENGINETM line-up—casts player characters as protectors of the human race in a hostile galazy. From orbital stations to fledgling colony worlds and Mother Earth herself, BUGHUNTERSTM PCs seek out and battle inimicable alient creatures while trying to piece together the secret of a horrifying galactic threat! Building upon the rules in the AMAZING ENGINETM System Guide, a copy of which is necessary for play, this book includes a detailed system for generating BUGHUNTERSTM characters, expanded tactical combat rules, equipment, starships, alien creatures, adventures, and more. Don't miss the adventure! Join a BUGHUNTERSTM squad today!